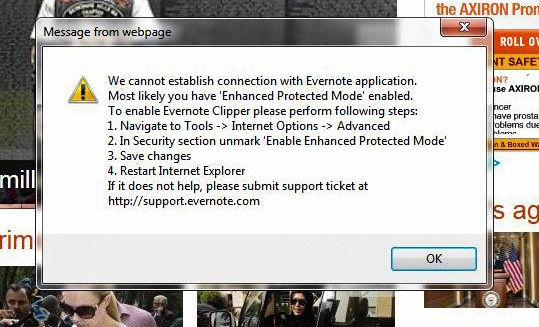 Our customer was running Internet Explorer 10 and apparently the security settings didn’t allow Evernote Clipper to clip web pages. Troubleshooting: I checked to see if ‘Enhanced Protected Mode’ was enabled and it wasn’t. I then tried clipping a different webpage and I got the same result. 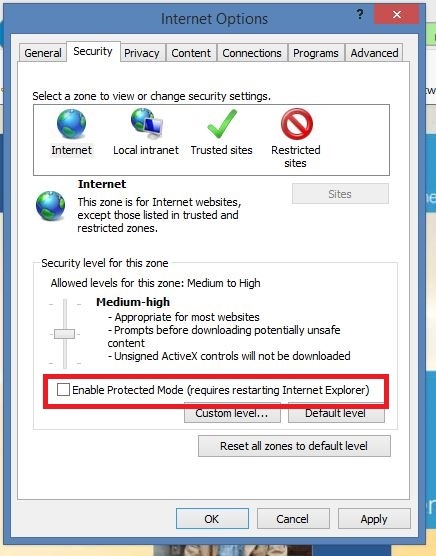 Select the Security tab and then uncheck ‘Enable Protected Mode’. Select OK and restart Internet Explorer. That solved the issue for me! This was posted by techspeeder.